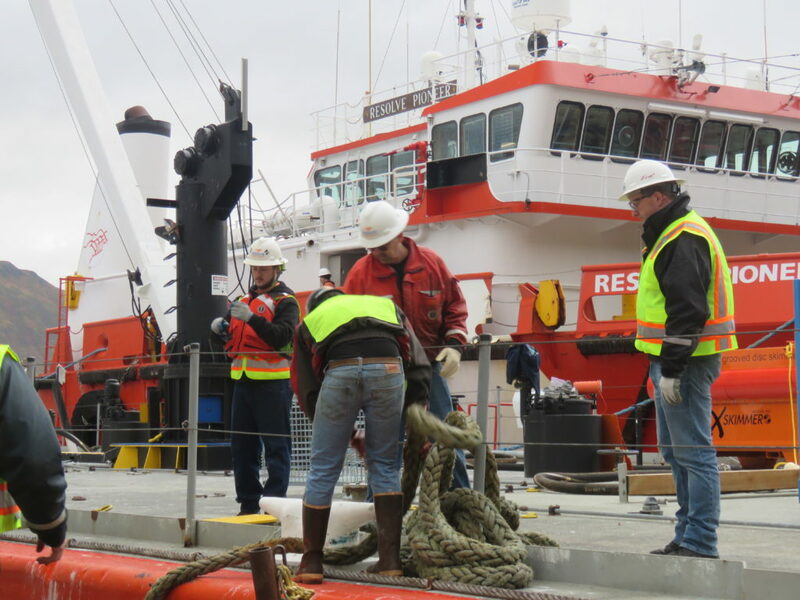 1-Call Alaska LLC, wholly owned subsidiary of Resolve Marine Group, provides unprecedented marine emergency response services in the Western Alaska COTP zone. 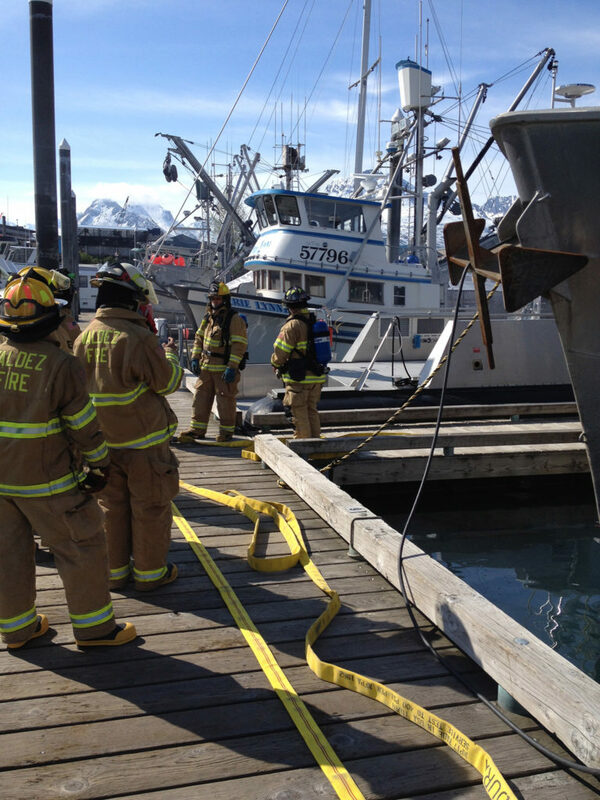 1-Call Alaska LLC maintains spill response, salvage, marine firefighting and emergency towing equipment in Dutch Harbor, Homer, Anchorage and Nome. With early intervention for prevention as our mantra, 1-Call Alaska LLC maintains a 24/7 manned tracking coordination center in Anchorage, AK and a redundant center in Fort Lauderdale, FL. The center utilizes proprietary state of the art AIS tracking, to monitor client vessels as they transit the Western Alaska COTP zone. 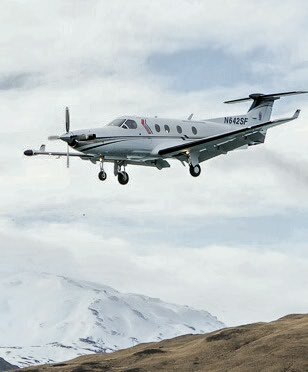 With a continual watch, 1-Call Alaska LLC, is situated to respond and prevent minor incidents from becoming catastrophic. It is the 1-Call Alaska approach to prevent and protect your assets, utilizing all facets of our interdisciplinary emergency response team. 1-Call Alaska is the 1-Call you need to make, to ensure your maritime compliance and safety. 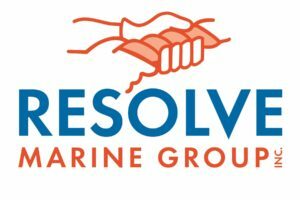 RESOLVE Marine Group, Inc. is a leading marine services organization that provides salvage, emergency response, training, naval architecture and marine engineering and many other services to the global maritime industry. For more than 30 years, RESOLVE has served commercial shipping companies, cruise lines, the offshore oil and gas industry, marine insurers, governments, agencies and other clients worldwide. Learn more about RESOLVE here. Why our service sets the standard for compliance monitoring and emergency response in Western Alaska. Why is enrollment with 1-Call Alaska the best choice for my operations? 1-Call Alaska, wholly owned subsidiary of Resolve Marine Group, is a world class provider of emergency and compliance services for the maritime industry. The 1-Call Alaska LLC program provides the same coverage Resolve provides internationally, within the waters of Western Alaska. 1-Call Alaska LLC ensures your vessels remain compliant with the US Coast Guard, while guaranteeing your vessels will be responded to in the shortest time possible. While other service providers can monitor your vessels and attempt to find you help during an emergency, only 1-Call Alaska can provide the assets necessary to protect your employees, cargo, vessels, and business in a timely manner. 1-Call Alaska LLC maintains the largest and most readily available response caches in the Western Alaska region, with equipment and personnel to provide oil spill response, marine firefighting, salvage and emergency towing services. 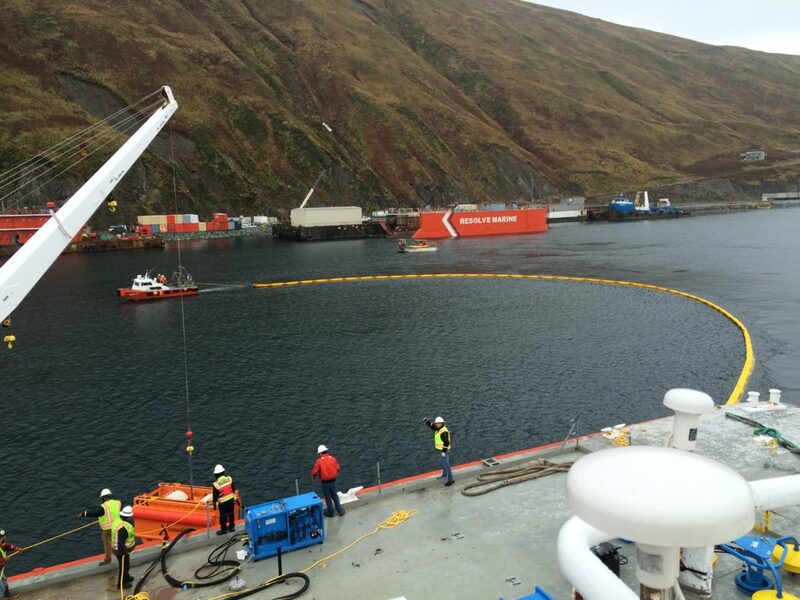 1-Call Alaska LLC has spill response equipment in Dutch Harbor, Anchorage, Nome and Homer. Additionally, 1-Call Alaska LLC maintains the only 80T BP Salvage Tug, the RESOLVE PIONEER, in America, as well as a 21,500 bbl Oil Recovery Tank Barge, the RESOLVE IBIS. Our assets are strategically placed to give our clients the fastest and most reliable response possible in the Western Alaska COTP zone. Our clients can rest easy knowing that if they need our assistance, we will respond to the incident faster and better than any other provider in the region. 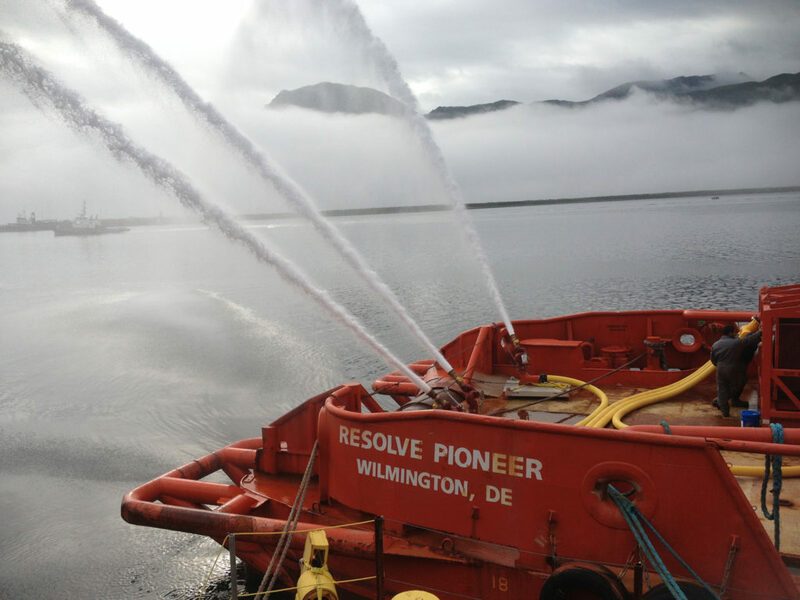 Since the inception of the 1990 Oil Pollution Act (OPA-90), Resolve Marine Group, parent company of 1-Call Alaska LLC, has provided salvage and marine fire-fighting services to the maritime industry. Since this time, Resolve Marine Group has expanded to where it is today, as an internationally recognized provider of maritime compliance, wreck removal, fire-fighting, salvage and oil spill response services. The international experience that 1-Call Alaska LLC is able to draw upon, is un-paralleled by other Alaskan service providers. Employees have responded in the Arctic, Antarctic and everywhere in between. There is no situation that collectively 1-Call Alaska and Resolve Marine Group have not encountered, making 1-Call Alaska the leader in western Alaska APC coverage.